My previous blog was about children’s books that focus on the Nativity. 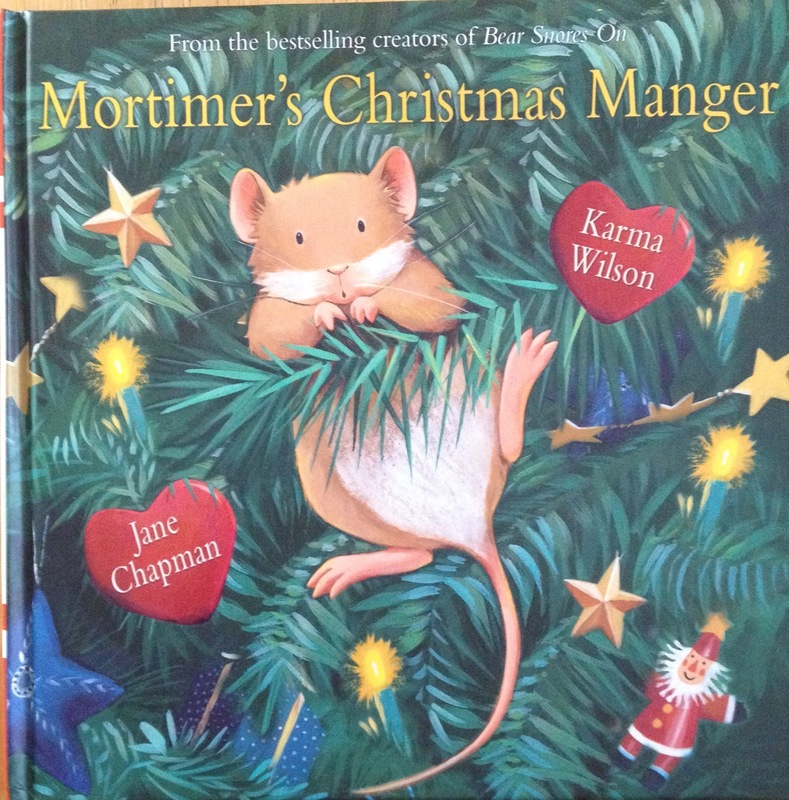 Today’s post features fun Christmas books from my childhood, as well as recent books that send a message of goodwill and hope. It’s a time-traveling trip to 29 countries through a book. In this cheeky English tale, Father Christmas is a bit of a grumpy fellow. With no elves to be found and no Mrs. Christmas to keep him company, Fr. Christmas has to feed the reindeer, fix his sleigh, and lug the many heavy bags of presents by himself. On top of that, he has to travel through blooming cold, go down blooming chimneys filled with blooming soot, and weather snow, ice, frost, sleet, hail, rain while everyone else is enjoying their parties in warm homes. It’s not a glamorous life. Still, Fr. Christmas gets to enjoy milk and cookies and sherry and mince pies while on the job. And when his long night is over, he sits down to a good cup of tea, enjoys a lovely pud and a good bath, has himself a good drop of ale and some lovely grub with his dog and cat. It’s not such a bad gig, after all. While younger children probably won’t understand it, this book is lots of fun and older children who understand dry humor will enjoy this spin on Santa. In this behind-the-scenes tell-all, we learn a lot about Santa. We get an up-close and personal look at his features. For instance, he suffers from a swollen right knee; the inflammation is “local and seasonal. It is the result of having thousands of children sit and bounce on it.” We get to peek at his home, his friends (including a butler, a guardian, a chief elf, and his Spanish friend, Black Peter), and his attire. We even learn what Fr. Christmas eats for breakfast: an all-or-nothing sandwich. Next, we visit the reindeer nursery and the stag bar (for adult reindeers to enjoy adult beverages), and we learn lots of reindeer facts, such as their great weakness for cherry and chocolate gateau. It’s off to the mines, the blacksmith’s workshop, and the toy workshops where quality control is performed. The traditions of carols, holly, mistletoe, candles in the window, and midnight snacks are explained. And for anyone who’s ever wondered just how Fr. Christmas manages to traverse the globe in a single night, we are privy to his sled routes, time management skills (including, perhaps, the ability to travel at the speed of light and to make time stand still), how he gets into houses (including the tricks and tools of the trade), and how he’s prepared for dogs and awake children. You’ll be reeling from all the information in this 92-page exposé! Again, this isn’t for younger kids and it’s by no means politically correct by today’s standards (it is, after all, 35 years old). If you’re looking for a sanitized version of Santa, this isn’t the book for you. However, if you’re looking for a good laugh with some irreverent humor, then see if you can track down a copy. I love Christmas carols. Singing really is a great way to get into the Christmas spirit and to spread good cheer. This little book features 19 beloved carols that are a joy to sing. From Away in a Manger to O Little Town of Bethlehem to Winter’s Snow, gather your family and friends and sing to your hearts content. The illustrations are lovely and harken to olden days. This story reminds us that the Christmas spirit is about helping others, even when you’re not feeling so merry and bright. This sweet book with perfectly adorable illustrations proves that home is where your heart it. Keeping the focus on the birth of Jesus while acknowleding the fun of Santa can be a difficult process. This book manages to balance both aspects of Christmas in a gentle, non-judgmental manner. I reviewed this book last year on Good Reads with Ronna, where you can find the latest and greatest in children’s literature reviews. What a wonderful thought to teach children, especially this time of year. The illustrations are spot on. The snowy, wintery scenes juxtaposed to the birds’ colorful plumage and children’s cheeriness bring the story alive. And in a way that only a masterful artist can manage, the pictures seem both lively and still. During what is one of the busiest times of the year for many people, taking a break to enjoy and understand The Message of the Birds is well worth the time. Merry Christmas and happy reading!